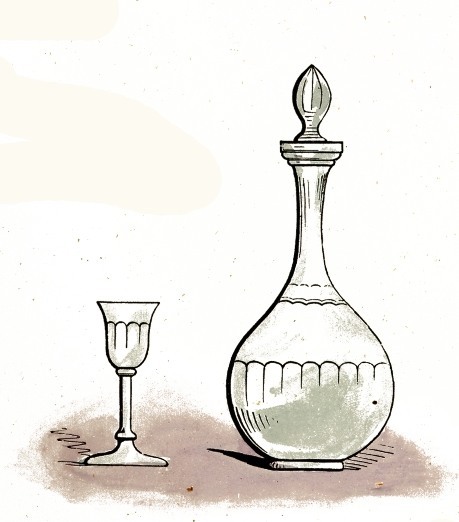 Public domain drawing of a wine glass and decanter sitting on top of a pink cloth. This kitchen and household image can be used freely in your next creative project. Don’t drink alone, it’s no fun.